SCOT MATAYOSHI spent five years as a civil litigator in Hawaii, focusing on construction litigation, before joining Schlack Ito. While attending the University of Hawaii's William S. Richardson School of Law, Mr. Matayoshi was a member of the Jessup moot court team, competing internationally. 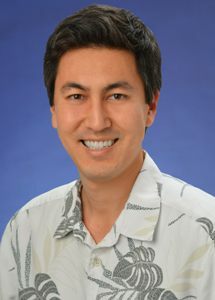 Prior to law school, he spent three years teaching middle school science in Nanakuli, while simultaneously earning a Master of Education degree from the University of Hawaii. Mr. Matayoshi was honored with the Peace Day Hawaii award in 2009 for his work in Nanakuli. Mr. Matayoshi is President of the Malama Honua Public Charter School Foundation and a Board Member for the Domestic Violence Action Center. He is also the Vice President of the Kaneohe Christmas Parade and a member of the Ko'olaupoko Hawaiian Civic Club. He is a former Oahu Director of the Hawaii State Bar Association's Young Lawyers Division and a member of the Pacific Century Fellows class of 2016. In his free time, he is an active member of his karate dojo, where he is a blackbelt.